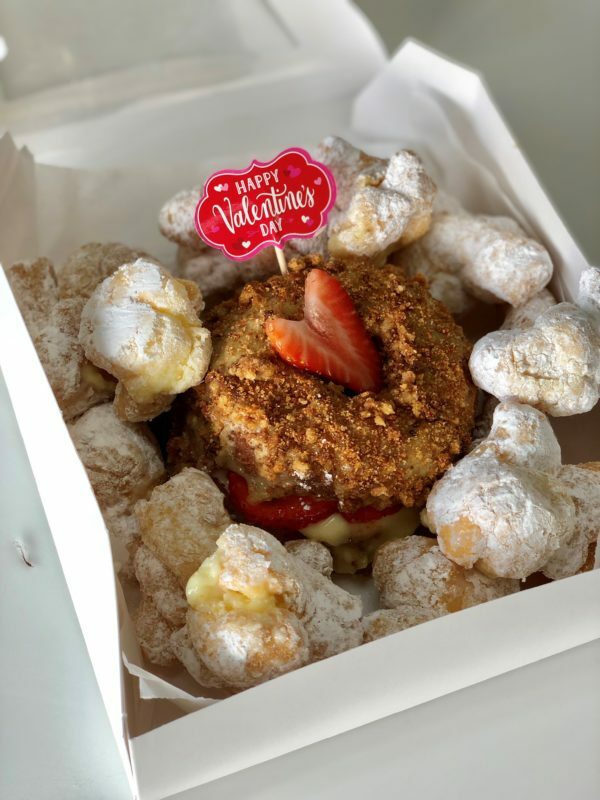 A dozen french kisses (french cruller bites) filled with bavarian cream + dusted with powdered sugar. 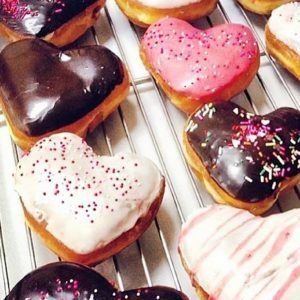 A heart-shaped crumb doissant (croissant donut) filled with strawberries + custard. All packaged in a box ready to gift to that someone special!